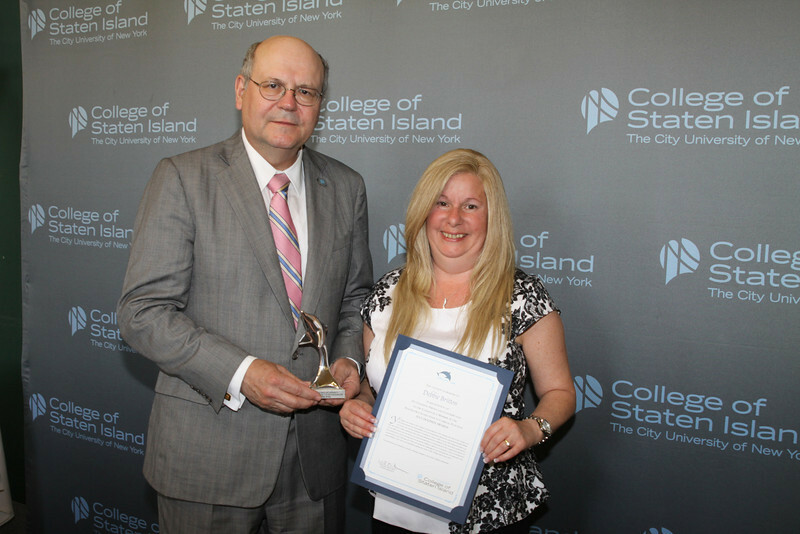 You began your tenure at the College of Staten Island in 1994. During your time at the College, you have demonstrated an extraordinary level of commitment, dedication, and professionalism. While you tend to the myriad demands of working in a Dean’s office, you are still willing and able to go the extra mile to assist students, faculty, staff, and administrators. In addition to the meticulous performance of your daily duties, you also lend your work and leadership to overseeing all of the complicated aspects of the annual Dean’s List Ceremony, and you are always willing to pitch in, at a moment’s notice, if unexpected circumstances arise. Through all of this, and numerous challenges in your personal life, you approach your responsibilities with cheer and amiability, putting the needs of the College above your own. Your dedication and humanity provide a shining example to the entire College community.